Some may call it sad, but I made my own birthday cake. I decided it was just a chance to try something new and different, and new and different this certainly was. I combined my three all-time favourite desserts/flavours/textures – salted caramel, chocolate mousse and rich, chocolate brownie to create this mouthwatering mini tower. It was the first time I had ever used a ring mould, and it actually worked quite well. It all sounded great in my head, but when I started stacking the pieces together I began to slightly freak out because brownie was breaking, caramel was sticking to everything and I was becoming covered in mousse! Uh oh. 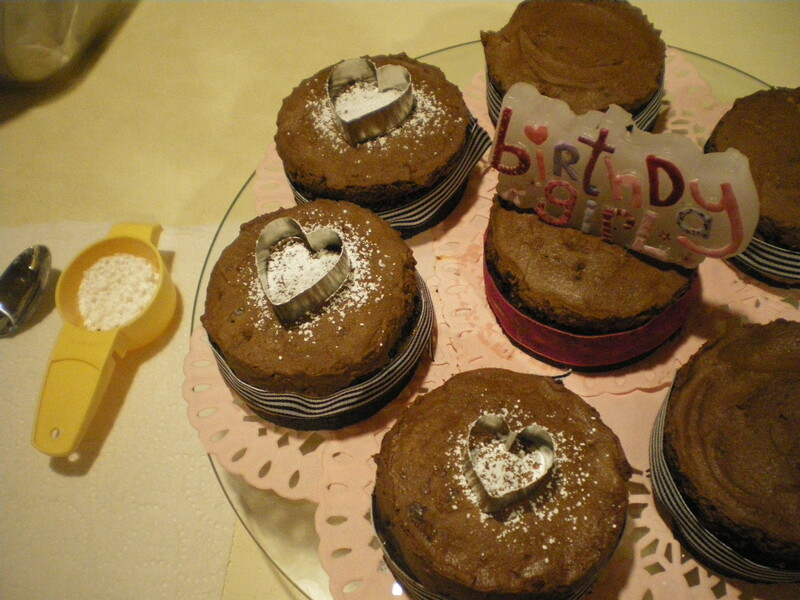 But they worked, a bit messier than I had imagined, but that’s okay. The taste of these ‘stackers’ was seriously out of this world! I’m not sure what I was expecting, but they were so good. The mousse was quite bitter, as I mainly used 70% chocolate, but when combined with the sweet and salty, thick caramel, it really worked. I also used 70% chocolate in the brownie, so the cake on a whole was still extremely rich and decadent, but it was far from sickly sweet which is what I wanted to achieve. 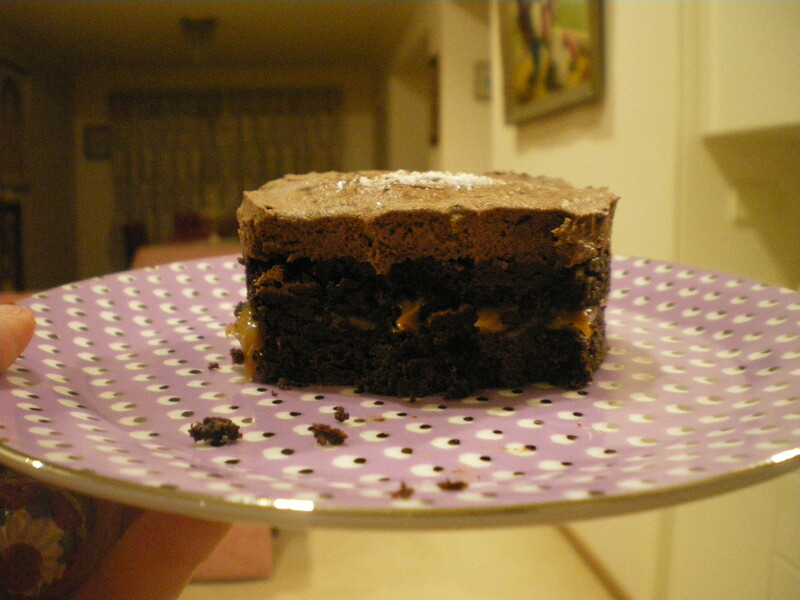 Janelle Bloom’s Chocolate Brownie Base: (this recipe is from Janelle Bloom’s ‘Fast, Fresh and Fabulous’ – a great book. This is actually the base for an amazing New York baked cheesecake). Makes 8-10 stackers. Preheat oven to 185c fan forced. Grease and line 2 oven trays 1-2cm deep. 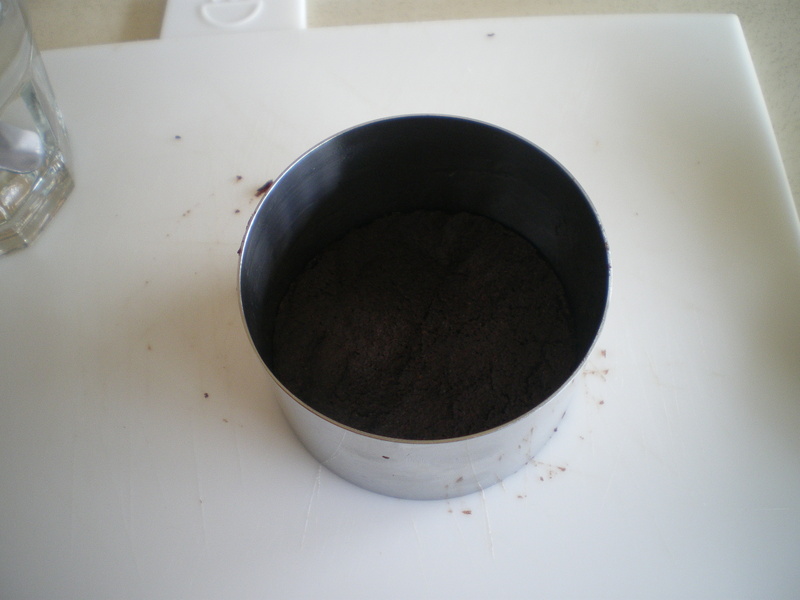 Although, you could really use any oven proof dish, just spread the mixture 1-2cm thick. Place chocolate and butter in a microwave safe bowl, and microwave on high for 2 minutes. Stir until smooth. Whisk in cocoa powder until smooth. Stir in flours, sugar and eggs until well combined. Spread mixture evenly over base of prepared trays. Bake for 10-12 minutes or until a skewer comes out clean. Don’t worry if the mixture is still a little soft. Cool for 15 minutes, then refrigerate while mixture is still in trays. 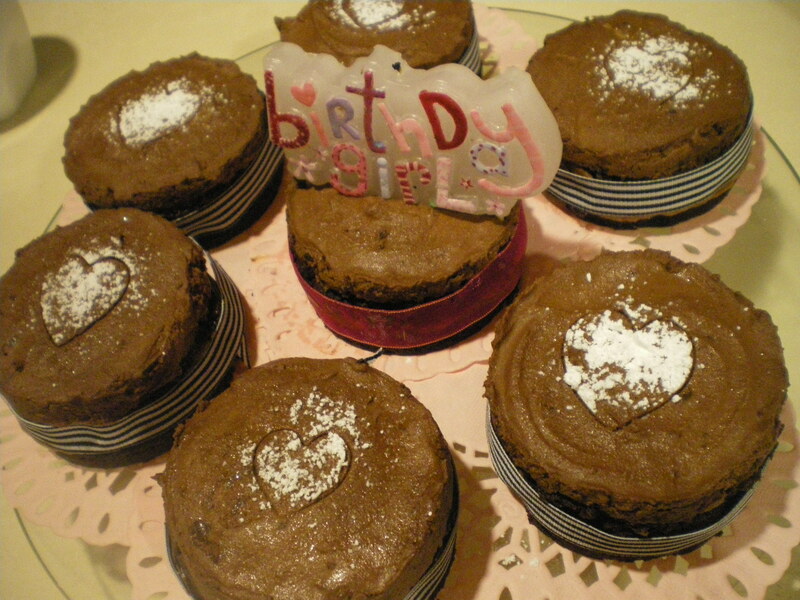 Tip – make sure the mixture is completely cold before the circles are pressed out. There is a LOT of butter in this recipe, so it really needs to be hardened otherwise it will crumble to pieces (yes, this did happen!). 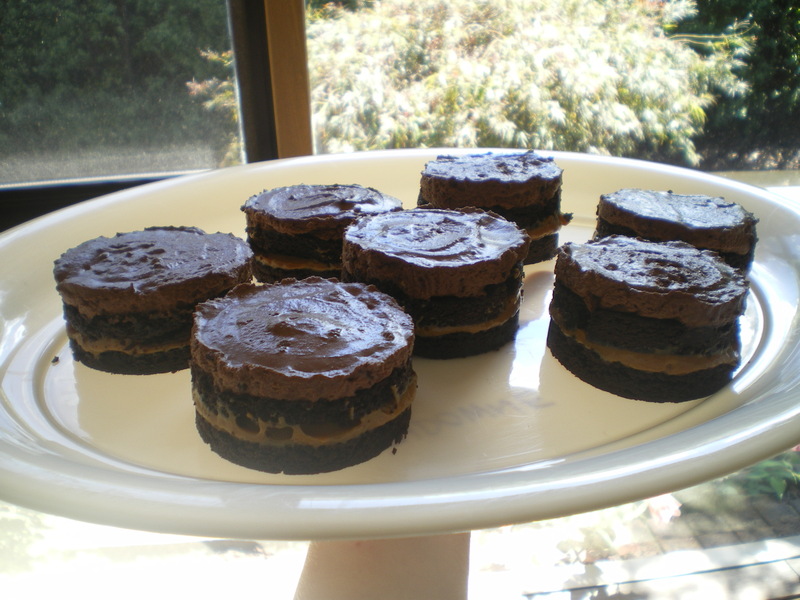 When brownie mixture is completely cold, press out circles with the ring moulds. There should be about 16-20 circles. When finished, refrigerate in an airtight container. 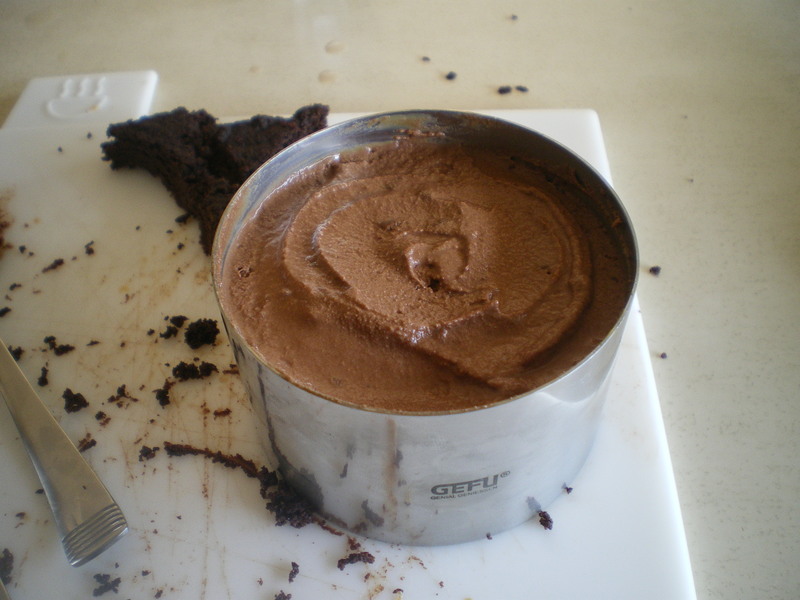 The Chocolate Mousse I made is from Taste.com, and it is really yummy and fairly simple. I doubled the quantities of the recipe, and it made HEAPS! If you don’t want mousse for lunch for the next week, maybe just do another half of the recipe. Obviously, I did not use the extra cream or the cherries. Remove paper from condensed milk cans, and place them in a large saucepan, lying down. Cover with boiling water and simmer for 3 hours, occasionally topping up the water to ensure cans are always covered. Remove cans from saucepan and let cool for 20-30 minutes. Open with a can opener, and pour caramel into a large bowl. Add salt flakes and stir to combine. You can use as much or as little salt as you like, but I usually stick to half a teaspoon per can of caramel. If using on the day, make sure caramel is completely cooled. Otherwise, refrigerate overnight. Now for the fiddly part! 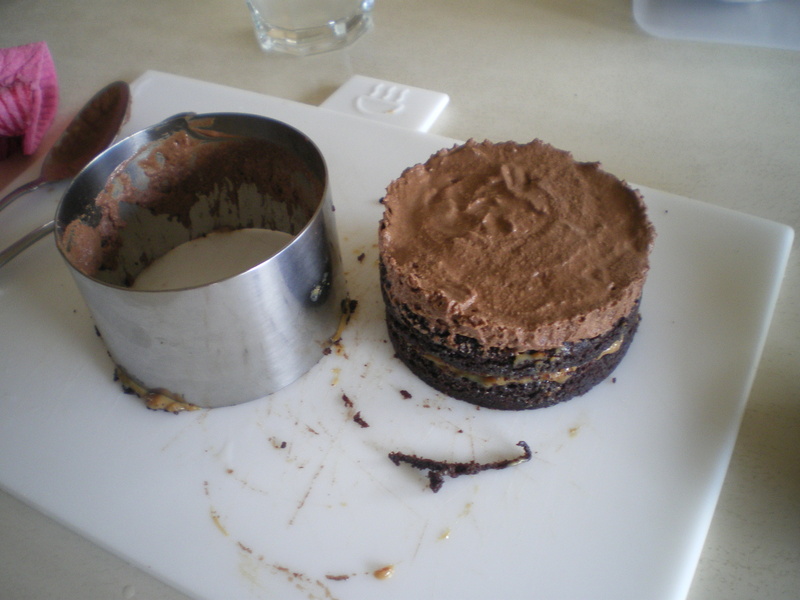 To begin assembling, place a brownie circle inside the bottom of the ring mould. 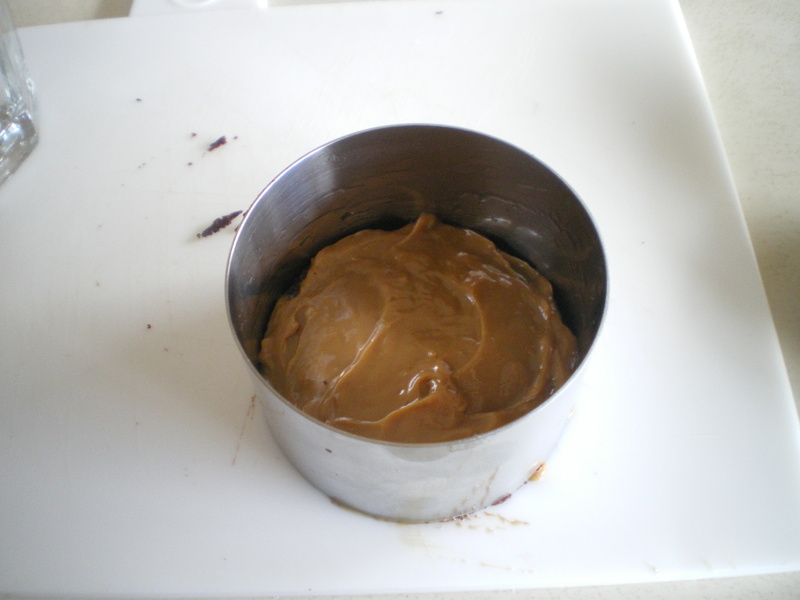 Place two teaspoons of salted caramel on top of the first brownie and smooth evenly. 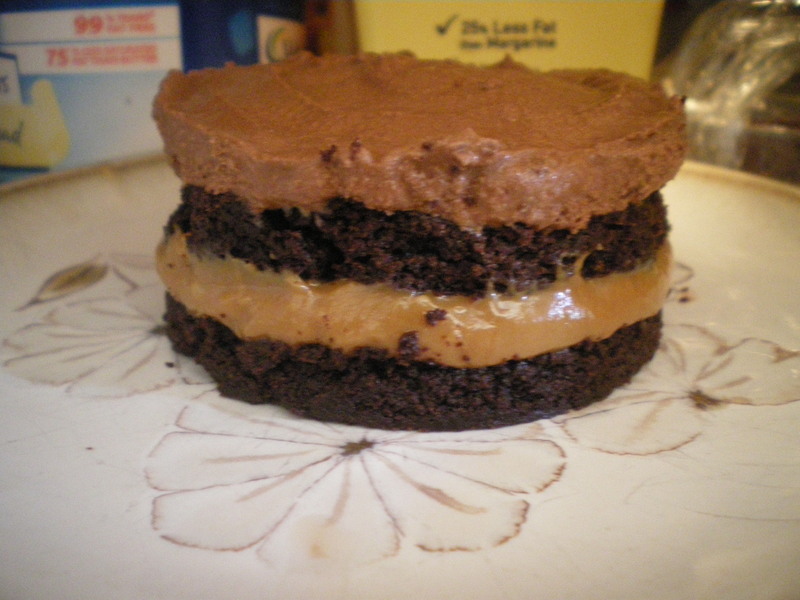 Place another brownie on top of the salted caramel layer. Place 2 generous teaspoons of mousse on top of the second brownie layer, and smooth evenly. They were a bit messier than I would have liked, so I tied a ribbon around each stacker in an attempt to make them neater! If you’re a perfectionist like me, use a round edged knife or a cheese knife and some warm water to smooth the tops and the edges.